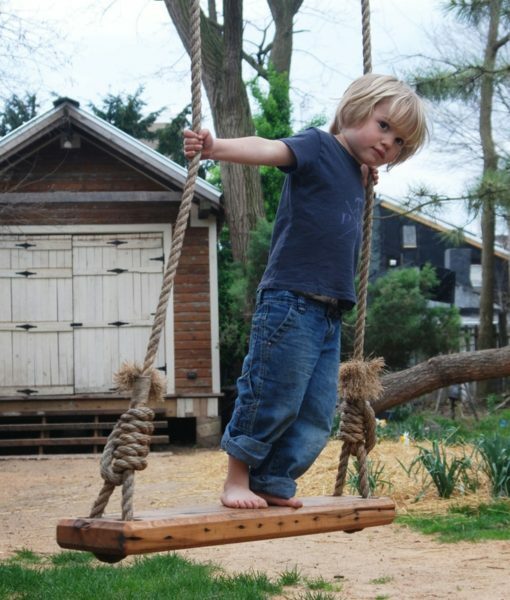 Great for olde massive trees and free spirited folk, this tree swing is made of reclaimed olde growth Redwood that was once a water tower atop a 19th century Philadelphia building. Reminds Beth of her grandfather’s home in Pittsboro, NC. Slow down for lazy summer afternoons with your own garden tree swing! Peg and Awl is a husband and wife team based out of the olde Atlas Casket Company building in Philadelphia. They save olde things, treasures found and recovered from misfortune and neglect, relics of the unusual, the confused and the macabre, cut and pulled and built into wearable curiosities, inscribable keepsakes and useable, longlasting treasures. In addition to the fabulous garden tree swings, they also make great cutting boards, chalkboards perfect for family notes, and reusable waxed canvas lunch bags. The cutting boards and chalkboards are made of reclaimed wood – making treasures from neglected objects!